AB 1745 (Ting; D-San Francisco) Vehicle Ban — Bans the sale of combustion engine vehicles in the state by prohibiting the registration of a new vehicle in the state after 2040 unless it is a zero-emission vehicle. AB 1761 (Muratsuchi; D-Torrance) Customer Blacklist and Hotel Workers Panic Button — Denies hotel guests due process, by requiring hotels to create a blacklist of guests who have been accused, yet not proven, to have engaged in inappropriate behavior toward hotel employees, and precludes the hotel from allowing those guests on the blacklist to enter their properties for three years. AB 2069 (Bonta; D-Oakland) Medical Marijuana in Employment — Undermines employer’s ability to provide a safe and drug-free workplace by creating a new protected classification of employees who use marijuana for medical purposes, and exposing employers to costly and unnecessary litigation under the Fair Employment and Housing Act (FEHA) whenever the employer terminates an employee in this new protected class who has created a safety hazard in the workplace. AB 2351 (Eggman; D-Stockton) Targeted Tax on High Earners — Unfairly increases the personal income tax rate from 13.3% – which is already, by far, the highest income tax rate in the country – to 14.3% for one category of taxpayers (including some proprietors), who already pay half of California’s income taxes, forcing them to mitigate these costs through means that include reducing workforce, in order to provide more funding for higher education. AB 2527 (Muratsuchi; D-Torrance) Costly Litigation Against Small Employers — Exposes small businesses who are seeking financial investors in their company to devastating class action litigation by banning the use of arbitration agreements, which is preempted by the Federal Arbitration Act, prohibiting class action waivers, allowing for the award of treble damages, punitive damages, and attorney’s fees, and interferes with contractual negotiations between sophisticated parties by dictating the choice of forum and choice of law for such litigation. AB 2571 (Gonzalez Fletcher; D-San Diego) Public Employee Retirement Systems Investment Policy — Seeks to publicly shame investment managers and the hospitality companies in which they invest, by forcing them to submit an annual report subject to a public review, that discloses employee wage information according to gender, ethnicity, and race, exposing such companies to costly litigation. 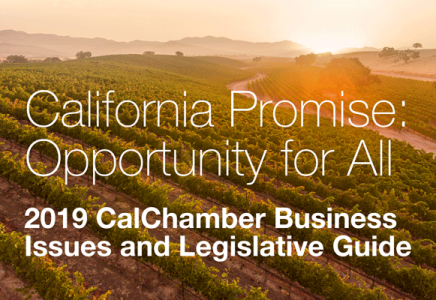 AB 2765 (Low; D-Campbell) Portable Benefits for The Gig Economy — Imposes onerous and costly mandates on companies in the gig economy labeled as the “digital marketplace” by adding them under the provisions of the Fair Employment and Housing Act (FEHA), expanding the protected classifications under FEHA for contractors of the digital marketplace to include “familial status,” and creates further confusion and uncertainty regarding the use and classification of independent contractors. These new mandates will dramatically increase the amount of frivolous litigation under FEHA and the Private Attorneys General Act (PAGA) for the digital marketplace. AB 3080 (Gonzalez Fletcher; D-San Diego) Ban on Settlement Agreements and Arbitration Agreements — Significantly expands employment litigation and increases costs for employers and employees by banning settlement agreements for labor and employment claims as well as arbitration agreements made as a condition of employment, which is likely preempted under the Federal Arbitration Act and will only delay the resolution of claims. Banning such agreements benefits the trial attorneys, not the employer or employee. ACA 22 (McCarty; D-Sacramento) Middle Class Fiscal Relief Act — Unnecessarily increases California’s 8.84% corporate tax rate, already one of the highest in the nation, to 18.84%, which will encourage companies to leave the state and discourage companies from expanding or relocating here. SB 1284 (Jackson; D-Santa Barbara) Disclosure of Company Pay Data — Unfairly requires California employers to submit pay data to the Department of Industrial Relations, creating a false impression of wage discrimination or unequal pay where none exists and, therefore, subjecting employers to unfair public criticism, enforcement measures, and significant litigation costs to defend against meritless claims. SB 1300 (Jackson; D-Santa Barbara) Removes Legal Standing and Prohibits Release of Claims — Significantly increases litigation by removing standing requirement for plaintiff alleging failure to prevent harassment or discrimination when no harassment even occurs, limits the use of severance agreements, and prohibits the use of a general release or nondisparagement clause in employer/employee contracts. SB 1398 (Skinner; D-Berkeley) Increased Tax Rate — Threatens to significantly increase the corporate tax rate on publicly held corporations and financial institutions up to 15% according to the wages paid to employees in the United States, and threatens to increase that rate by 50% thereafter, if the corporation or institution reduces its workforce in the United States and simultaneously increases its contractors. AB 127 (Committee on Budget) Threatens Energy Reliability — Threatens energy reliability and will lead to the elimination of jobs by mandating the closure of the Aliso Canyon natural gas storage facility. ACA 4 (Aguiar-Curry; D-Winters) Lowers Vote Requirement for New Tax Increases — Unnecessarily reduces the voter threshold from two-thirds to 55% for local governments to enact special taxes, including parcel taxes, for the purpose of improving public infrastructure and affordable housing, which creates an opportunity for discriminatory and higher taxes to be imposed against disfavored industries and commercial property owners. ACA 11 (Caballero; D-Salinas) Targeted Retail Industry Tax Increase — Exposes the retail industry to increased taxes by imposing a quarter-cent sales tax increase to fund affordable housing and homeless shelters, without creating greatly needed market-rate housing. SB 49 (de León; D-Los Angeles) Creates Uncertainty and Increases Potential Litigation Regarding Environmental Standards — Creates uncertainty by giving broad and sweeping discretion to State agencies to adopt rules and regulations more stringent than the federal rules and regulations in effect on January 19, 2017 through an expedited administrative procedure without public participation or input, when the State agencies determine that federal action leads to less stringent laws and regulations than those in effect on January 19, 2017; and increases the potential for costly litigation by creating private rights of action under California law, which may be triggered when a State agency takes the foregoing discretionary action. SB 538 (Monning; D-Carmel) Arbitration Discrimination — Unfairly and unlawfully discriminates against arbitration agreements by restricting the formation of antitrust arbitration agreements in hospital contracts, leading to costly litigation over preemption by the Federal Arbitration Act. SB 774 (Leyva; D-Chino) Increased Permitting Fees and Delayed Permitting — Exposes permittees to unknown, increased fees by providing the Department of Toxic Substances Control (DTSC) a blank check to impose additional fees on permittees to implement and perform its statutory requirements when its primary sources of funding have structural deficits and creates substantial uncertainty and delay of facility permitting by interjecting a new board into the organizational structure. SCA 6 (Wiener; D-San Francisco) Lowers Vote Requirement for Tax Increases — Unnecessarily reduces the voter threshold from two-thirds to 55% for local governments to enact special taxes, including parcel taxes, for the purpose of providing transportation services, which creates an opportunity for discriminatory and higher taxes to be imposed against disfavored industries and commercial property owners. 2017: 27 job killers identified, 3 sent to Governor Brown, 2 signed, 1 vetoed. 2000: No job killers identified. Of 4 bad bills identified at end of session, Governor Davis signs 2 and vetoes 2. 1998: 64 job killer bills identified, 11 sent to Governor, 11 vetoed. 1997: 57 job killer bills identified, 9 sent to Governor, 9 vetoed.